Smartphones from Chinamay be more durable than you think. Chinese smartphone manufacturer Bluboo has uploaded a YouTube video showing their XTouch smartphone being dropped from 20 feet and remaining seemingly unscathed. In an older video, Bluboo dropped the smartphone multiple times from one to five feet, proving the handset was capable of taking a beating with only minor scratches on the edges of the screen to show for it. Now, in a follow-up video, the company has taken their XTouch smartphone to more extreme heights. In the video, a man drops the phone from a balcony in a lobby area, which Bluboo claims is at least six meters – roughly 20 feet – tall. First, the video makers swipe through handset’s home screen to show the smartphone appears to be working OK, then they let the XTouch fly. Ouch. The XTouch doesn’t break apart when it hits the hard tile floor, even restarts while appearing to function normally and amazingly, the smartphone looks completely undamaged. Though, like Neowin’s Steven Johns wrote, the testers may have had luck on their side too. The Bluboo XTouch’s allegedly owes its durability to Corning Gorilla Glass 3, a CNC metal body frame and a unique U-Type suspended screen – which features U-shaped suspenders along the screen’s border. Bluboo claims the XTouch’s rare U-Type suspended screen makes the handset more durable, according to China Gadget Reviews. Bluboo designed the handset to directly compete with the affordable but high-quality OnePlus One smartphone. The OnePlus One’s screen has V-Type suspension opposed to the XTouch’s supposedly safer U-Type design. The LTE-enabled Bluboo Xtouch sports an octa-core 64bit processor, a 5.0-inch FHD OGS IPS JDI display on 2.5D Corning Gorilla Glass 3, 8-megapixel front-facing camera, 13-megapixel, 32 GB of internal storage, 3GB RAM, a 3050mAh Li-poly battery, a 3D back cover and claims to have Touch ID that responds in 0.3 seconds. The XTouch is slanted to be released next month in December, just in time for holiday shoppers that tend to drop their phones. 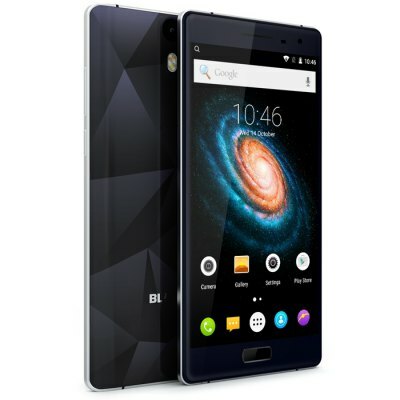 Right now, you can buy the Bluboo XTouch presale in either black and white for $179.99. If you’re in the market for a durable and powerful Android smartphone, that’s pretty affordable.